To do so, you need to login to MyFolio and register your activities (see full info here) and if you earn sufficient points by the deadline, you can redeem these to apply for ‘rewards’, which are undertaken during the summer period. 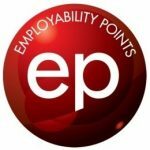 Rewards are experiences of work, such as internships (cost 200 points), work experience (150 points), experience days (75 points) and much more! You may be particularly interested to read about some of our latest rewards, suited for History students! In the heritage sector, we are advertising exclusive work experience opportunities with the National Trust, Historic Dockyard Chatham, Canterbury Cathedral and the Royal Engineers Museum. If you are keen to gain some experience working in an archive, we recommend you check out the Royal Engineers Museum and Canterbury Cathedral, whereas the Historic Dockyard will give you the chance to experience collections management. Alternatively, if you fancy 2-weeks working in castle conservation, check out the National Trust reward! If you are considering the public sector, make sure you check out Sevenoaks Town Council’s internship, which will involve the undertaking of various research projects. Also, Medway Council are offering an internship in their Housing Team (previously completed by a History student), which will provide you with an insight into policy. If you only fancy a short-term opportunity, the Civil Service Fast Stream are offering the chance to shadow Civil Servants and Tunbridge Wells Borough Council are allowing a student to shadow their Chief Exec! If you have a passion for the defence sector, don’t miss out on DSTL’s remote work experience which will provide a research placement looking at the work undertaken by the Ministry of Defence. Alternatively, you may wish to apply your transferrable skills to a completely different sector! We have a copy writing internship with MCM Net, project management internship with Yoyo Design, sales internship with JF Tobias and fundraising placements with Demelza and East Kent Mencap. Remember, you are most likely undertaking a range of co-curricular activities and you just need to make sure you claim your points. By doing-so, you will gain the chance to apply for these great rewards, providing you with essential work experience.